We need your help. Mosaic has already sponsored $2,500 as a "Walk Supporter". Our team is hoping to raise another $2,500 money to help make Toronto a more dementia-friendly city. We are participating in the Walk for Memories to make that happen. 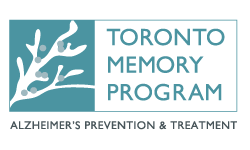 By making a donation to our team today, you are helping the Alzheimer Society of Toronto provide supportive care, educational programs, and fund innovative research. We are Canadian owned and privately run. We serve people of all ages and needs in the Greater Toronto Area, including York Region. From the initial assessment to creating your care plan, from caregiver recruitment, selection and personal caregiver introduction to home care checks, our experienced client services team and caregivers, personalize, oversee and adjust care as needed. We are here for you and your family 24/7. Our services are uniquely focused on supporting and enhancing the social and emotional as well as physical needs of those we care for. We commit to knowing the person, to meaningful conversation, to interaction with interests, activities and where possible the wider community. Through person centered care and our community outreach we also commit to developing age friendly communities and healthy ageing across the GTA. What a difference we make in your life at home, and in your community. Mosaic provides a range of person centered services to enhance the lives of those in our care. We help the person remain independent and integrated with community and friends, whether in their own home, hospital (bedside sitting), retirement residence or long-term care. Our person centered culture runs throughout our organisation. We take great care to find out about personal preferences and wishes when planning care. But, we also move beyond the usual tasks to engage with a person’s social and emotional needs and their relationships with community. Our experienced client services team provides central oversight of care, keeps up to date with clients, families and works with other healthcare professionals. Effective oversight of care requires knowledge and training in dementia, end of life, palliative care, frailty and other important areas. Front line staff meet Mosaic’s Standards of Excellence® including background checks, health clearances and are bonded and insured. Research shows that older people want their home care to meet their social and emotional needs, that they want to continue to engage with life and wish to have physical contact with nature, irrespective. We agree: we believe that knowing the person, engaging in meaningful conversation, recollection, interests and activities and community, where possible, is important to physical and mental well-being. We train and certify our caregivers in our “The Meaning of Me®” framework and our dedicated Client Liaison works with clients and caregivers to develop activities and interests. We are always looking at new ways of keeping persons connected to the many important things in their lives. Connecting to a person’s wider social and emotional whole is especially important for those with complex care needs. Hart & Stride Hockey Development Inc.